This post is going to be used to collect sources of production and consumption data of primary energy sources. This blogpost will be updated regularly and later probably given a link in the sidebar. 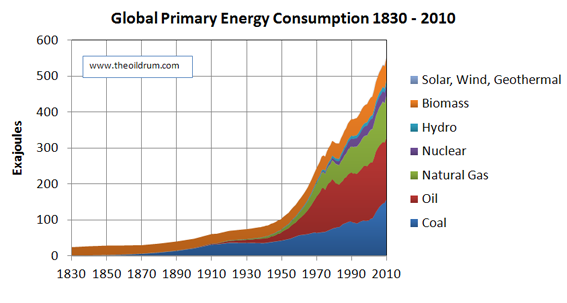 Rembrandt Koppelaar on World Energy Consumption 1830-2010, see graph above. The US Energy Information Administration (EIA) recently released full-year 2007-2011 world oil production data per country.